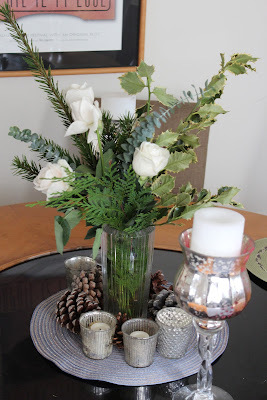 I thought it would be fun to look back at the different holiday decorating I did over the last few weeks. Here are some of the things I put together. 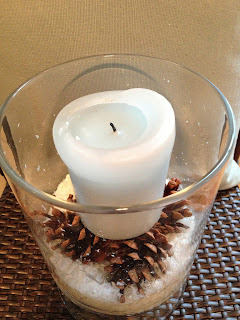 Don't forget these ideas for next year! 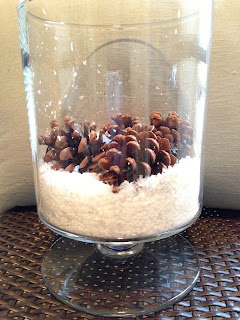 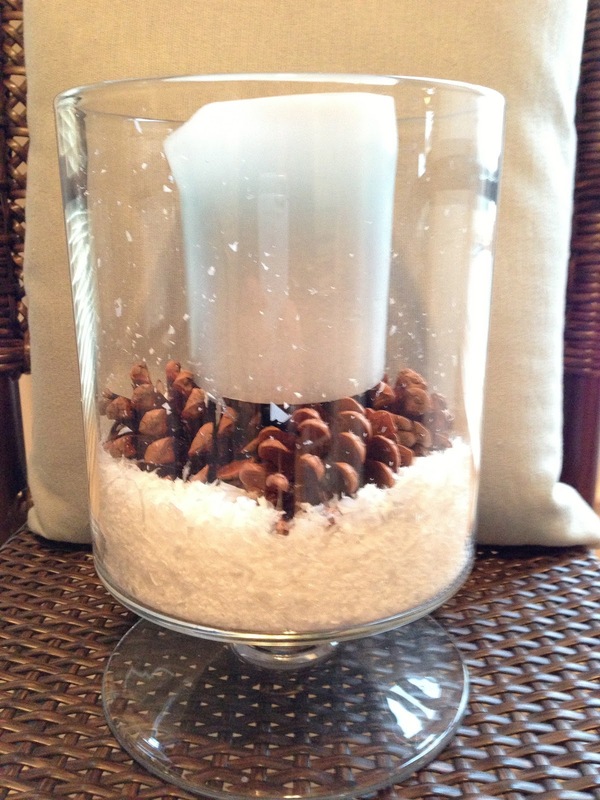 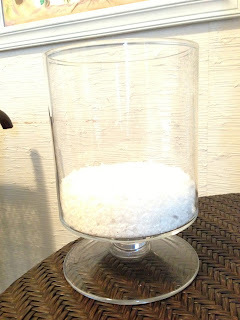 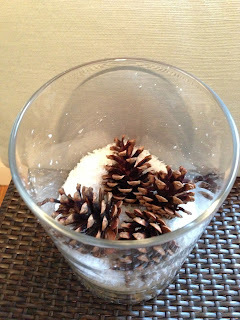 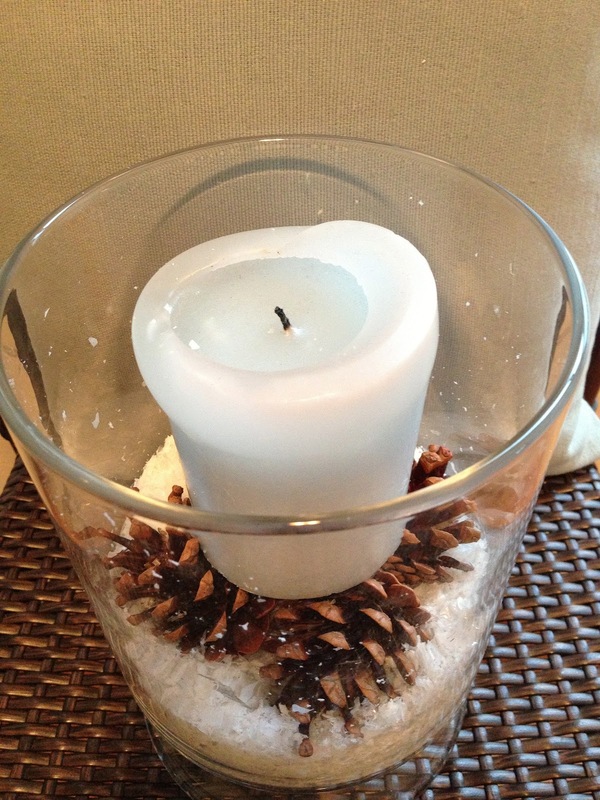 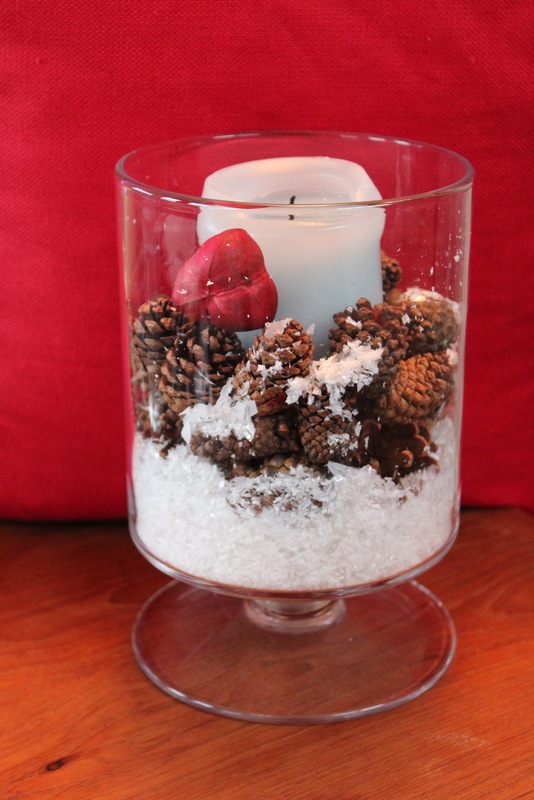 What you need: Round large vase, fake snow, pine cones, and a blue or red candle. What you will need: Trader Joes has a great assortment of flowers and festive holiday floral. 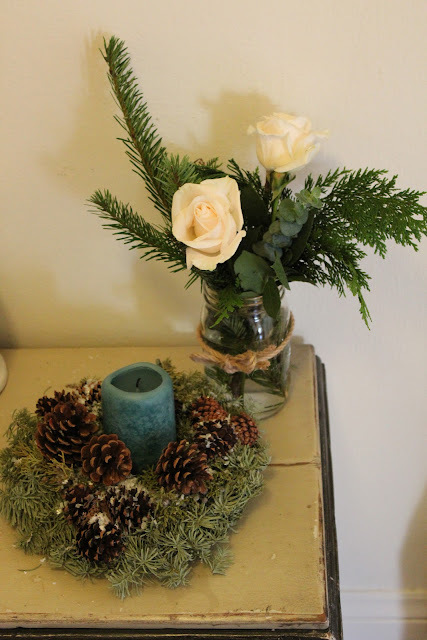 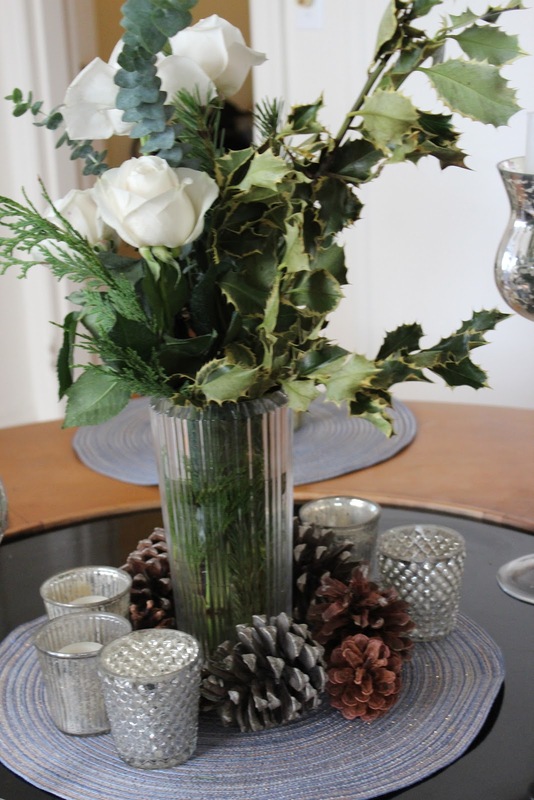 I used white roses and mixed pine branches in the vases. 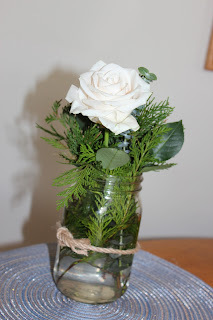 On the small vases I used some tan rope to decorate the mason jars.